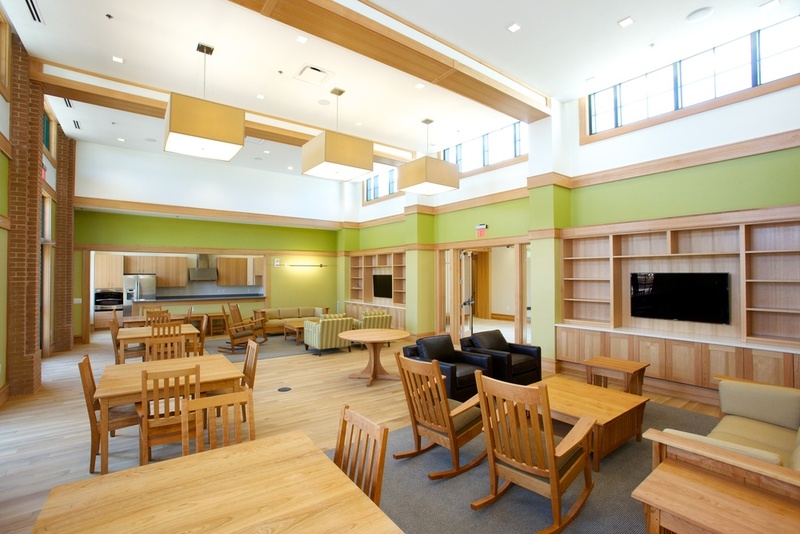 The Woodlawn Village Neighborhood Center is the fifth of five neighborhood centers built at Fort Belvoir, VA as part of the Residential Communities Initiative public-private partnership with the U.S. Army. The neighborhood center is an amenity building constructed in the center of the existing Woodlawn Village neighborhood, which consists of 338 recently renovated homes. The original design for the neighborhood center aimed to earn LEED® Silver Certification, but holistic planning and communication throughout the design process allowed the Woodlawn Village Neighborhood Center to achieve LEED Gold by including additional green building practices such as recycling, reusing, or otherwise diverting from a landfill over 90% of construction waste. The center achieves 29% reduction in energy as compared to standard energy performance. In addition to its green features, the Woodlawn Village Neighborhood Center boasts amenities such as an outdoor pool, fitness room, and community room.